Protea Place Guest House is just a chip and a putt away from the golf course, with beautiful Karoo sunsets. There is a private entrance for guests in a garden setting with peaceful and secure surroundings. We offer one luxury double en-suite bedroom and two standard double rooms with a separate bathroom. 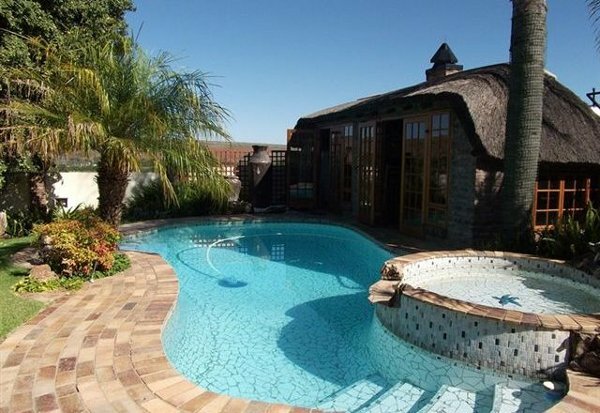 Guests can enjoy use of the private lounge and dining room, as well as the pool, lapa, braai facilities and safe parking. We regret that Protea Place Guest House is a non-smoking establishment. Click here to enquire at Protea Place Guest House.